Ideal for fun days, birthday parties, celebrations such as weddings, christenings and much more. This inflatable bouncy castle is suitable for all ages. 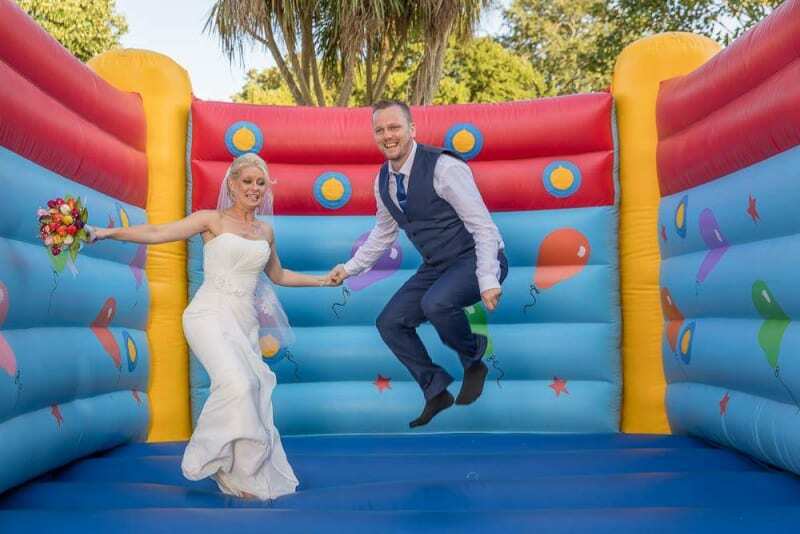 Manufactured with a 'deeper' inflatable bed this allows adult users as the inflatable bed can provide more bounce for adult users as well as children. 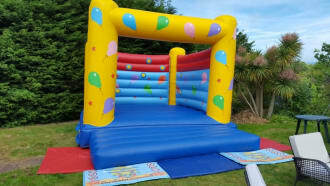 A wonderful looking bouncy castle with bright material used throughout of yellow, blue and red with hand painted artwork of balloons and stars. You can book online through this product listing by clicking the "Click here to book online" button (This is our preferred booking method) Alternatively, if you fancy a chat with us then please call any time/day of the week. Please be aware that due to weekends being our busiest time of the week we may not be able to take your call or enquiry. If you would like to email any questions or queries, you can contact us by email:info@rivieraevents.co.uk or over on our facebook page.